According to a report published by IDC research firm, out of every 4 smartphones shipped in quarter third of 2012, 3 are supposedly powered by Android OS. Four years back, android OS didn’t have the ecosystem it represents today. Phones and tablets are not only the category of devices being powered by Android, it is making gradual impression on Smart TV and other gadgets, latest being Digital Cameras. Manufacturers are slowly, but steadily, opening their hearts to adoption of android into their cameras. Nikon produced Coolpix S800c 16megapixel camera powered by Android 2.3.3, and now Samsung staged android 4.1 Jelly bean powered Samsung Galaxy Camera. It was officially announced on August 29, 2012 with sale to start from November. Let’s see what this Galaxy Camera has to offer. Before we take full course of its capabilities and features, let us understand its hardware. Technical specifications outline quad-core processor running on clock-speed of 1.9 GHz, Mali GPU and 1 GB RAM so that you could utilize its strength to do powerful photo editing on the camera itself. 8 GB of internal storage is not great, but support for extendable micro-sd card of upto 32 GB can make-up for the less internal storage capacity. 3G network connectivity for data usage is supported via micro-sim card, but voice-calling or regular GSM phone features are not supported. 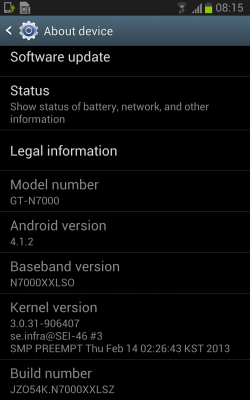 4G (LTE) is not available on the global model, but on few regional variant. Dual-band WiFi, Bluetooth 4.0 further adds to connectivity options. GPS is also there, alongwith accelerometer, gyro and compass sensors. It can capture beautiful and gorgeous snap in rich colors and fine details with 16 Megapixel 1/2.3″ BSI CMOS sensor. To add to that, it supports 21x optical zoom so that you can even make the distant shot powerful and clear. Optical Image Stabilisation (OIS) further adds to crispness and clarity. With its 23mm aperture lens, you can easily take wide-angle shots. It has flash also which pops up when needed. 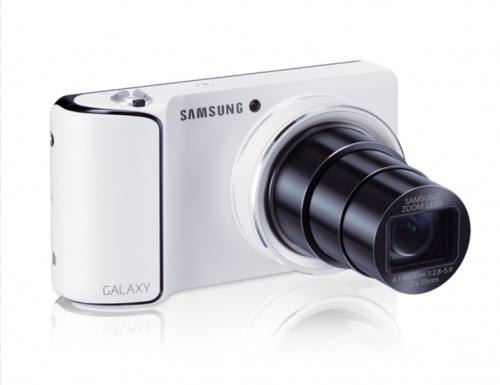 Samsung Galaxy Camera can record Full HD 1080p Videos at 30 fps. It can also shoot videos in slow-motion at 120 fps in resolution of 720*480 if you want to create those slow-motion kind of videos. The display is multi-touch capacitive HD 4.8 inch Super Clear LCD with resolution of 1280*720 and pixel density of 308 ppi. Apart from your captured shots, you can even play HD movies on this display. Most of the camera controls depend on your effective use of touchscreen display, yet there are few physical buttons for you to put your fingers upon, like flash release, power, zoom toggle, and shutter release buttons. There is Auto mode in which you can just tap on the screen to focus. Smart Pro mode makes taking shots snappy with its predefined templates which compose modes for about 10 different scenes types, like Waterfall Trace, Light Trace (to capture night scenes with light trails), Action freeze, Rich Tones, etc. Hence, Smart Pro mode saves you the trouble of refining settings to fine-tune your next shot. As we’ve stated in the above paragraph, that Samsung Galaxy Camera can take slow-motion videos at impressive frame rate of 120 per second (but, this comes at low resolution of 720 x 480 pixels) and then play it slowly. The display is on 16:9 aspect ratio and comes with the so-called White magic technology, which according to Samsung, allows you to double the brightness without worrying about battery. Since Galaxy camera runs on the almost-latest Android 4.1 Jelly Bean OS (not the latest as Android 4.2 Jelly Bean is now out now), it features access to Google Play Store and with it, millions of apps and utilities. You can install instagram or facebook or other tools on it. 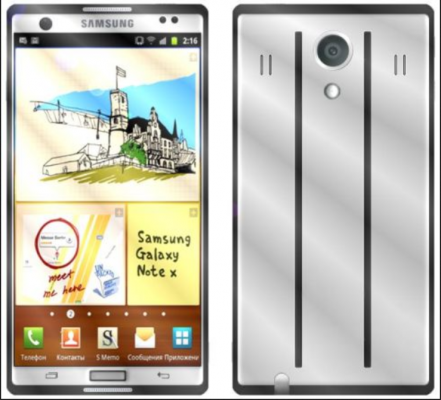 You can use it like any other smartphone, browse the web on it, play your music, videos or even games on it. You can further enrich your galaxy camera with several powerful image and video editing apps available in Google Play Store, apart from the onboard tools. You can control your camera with your voice, like you can ask it to zoom in or out, set the timer, snap the photo, etc. The Photo and Video Wizard on Samsung Galaxy Camera allow you to edit your photos and videos like a pro directly on camera. With increasing photos, shots and usage by multi-users, things on camera become unorganized, but thanks to Smart Content Manager on Samsung Galaxy Camera, which automatically and intelligently organizes photos in specific folders, tags images, and also suggest you to delete not-so-good photos. Auto-cloud backup uploads your photos automatically on the web via AllShare as soon as you take it. With ShareShot feature, you can easily share the captured images using WiFi Direct with other compatible galaxy devices. It was announced at the end of August with speculated availability starting from November. 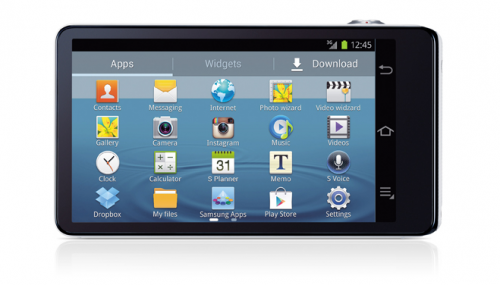 The release date of Samsung Galaxy Camera in UK is 8th November, 2012. Soon, it’ll be released in other markets worldwide including Asia. 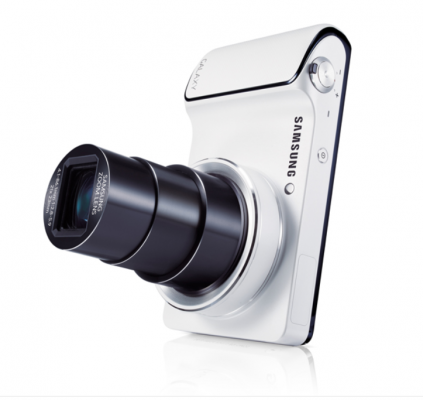 The price of Samsung Galaxy Camera in UK is £399.99 and it is now available in several colors including White, Black, Pink Red, Orange and weighs 0.67 pounds.. So, expect somewhat similar price range in your country in equivalent value of your currency. 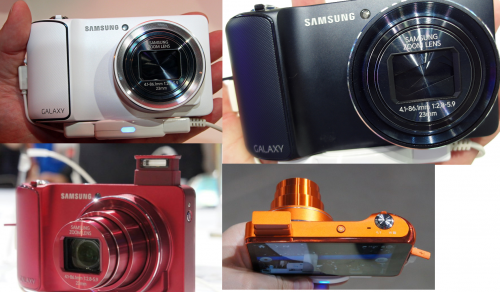 The release date and price of Samsung Galaxy Camera in India is revealed. The price of Samsung Galaxy Camera in India is Rs.29,900. 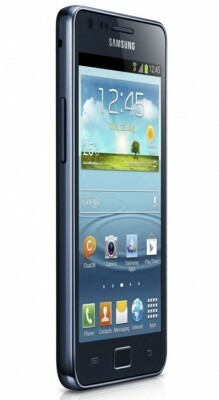 It can be bought online from Samsung India Estore also. Click on the image above to see it in its large full size. The power of android os in camera – our favorite apps. The features and extensions that Android provides to the camera is really worth it. To do editing of images and videos directly on camera. Although, this may not be efficient enough to compete with editing options available on laptops, yet it is something that can make our camera more than just a traditional digital camera. Ability to share photos directly from the camera, thereby avoiding hassles to transfer photos to other devices, like smartphones, to upload on facebook or email or on the cloud. Good Optical Zoom capacity i.e. 21x. because it is very expensive. It may not match DSLR – level image quality. You can buy entry-level DSLR camera at this price which may produce better photos. because I’ve high-end smartphone, so I feel like buying even more powerful camera rather than galaxy camera as my phone is sufficient enough to serve me as powerful android camera. I want to wait for more similar android based digital or DSLR cameras from other manufacturers in market. 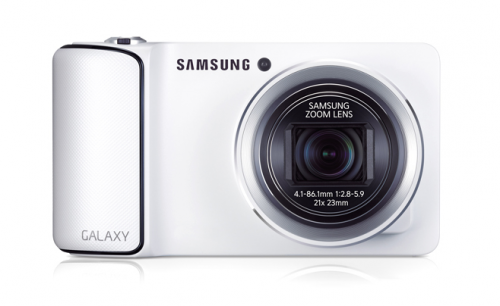 What do you think of Galaxy Camera? Are you going to buy it because it is a good digital camera, aside from features similar to that of android smartphone, or will you settle for some other DSLR camera in same price range, or go for full-featured smartphone with the best camera, like Nokia PureView 808 (Symbian), or some other high-end android phones, like Samsung Galaxy S3, or Google Nexus 4, or 13-megapixel LG Optimus G ? Share your opinion in comments!